Pepper Summer Sausage filled with cracked pepper & spices. 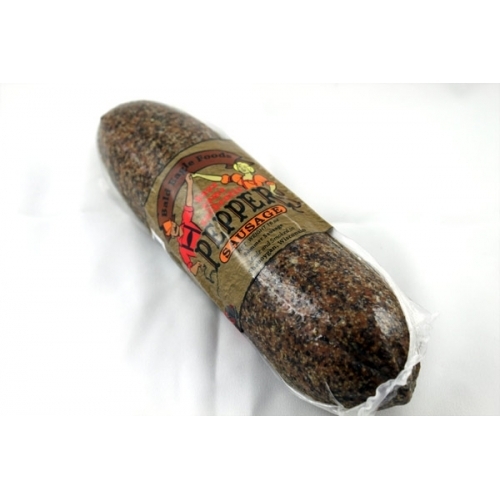 Lean sausage made and smoked by Bald Eagle Foods. Price is per 9 ounce sausage link.